A tragic turn of events has put seven employees of IL&FS in Ethiopia in danger due to non-payment by the company. In a tweet put out by Neeraj Raghuwanshi, it has come to light that employees, including himself, are being kept hostage by the local labour and staff for the past four days as they are unhappy over non-payment of creditors and their salaries. As we know in the continuing saga of the IL&FS mess, in order to cauterise the relentless hemorrhaging, majority of their foreign subsidiaries are being shut down. Almost all international offices will essentially be shut down immediately as part of the new action plan which the Uday Kotak-helmed board will give to the court. It is to be expected that majority of the subsidiaries will be wound up while the rest are scaled down considerably. In 2016, IL&FS had won a Rs1,525 crore road contract in Ethiopia by submitting its winning bid to the Ethiopian Roads Authority. At that time, the Authority had awarded IL&FS a long-term contract for completing multiple road projects in Ethiopia for a period of eight years. We now know that IL&FS has run out of money to keep the project going and has been undergoing the process of shutting down its business in the country. Mr Raghuwanshi’s heartbreaking tweet now informs us that the company’s woes have quite literally become a dangerous situation for these seven stranded employees. Mr Kotak, who now heads the new board, has been alerted about the plight of the employees and has asked the ITNL board to look into the issue. The Ethiopian company is “one of the maze of foreign companies below ITNL”, said a top level source in the new management. Apparently, this is also not the first time such a case has occurred with IL&FS Transportation. A few years back, there was a similar instance in Nagaland when employees’ lives were threatened by militants in the area. IL&FS Transportation was contracted for a mega project of constructing two-lane roads connecting various locations under the Special Accelerated Road Development Programme in the Northeast. This project was plagued by extortion from several different militant factions who successfully extorted several lakhs of rupees. There were instances when rebel groups took away the keys of all the excavators working in the area and demanded for huge sums of money for return of the keys. The project was delayed by several years and the company tried to lay the blame at the feet of the militant groups. Not having received a satisfactory response from the company, Mr Raghuwanshi has resorted to putting out this tweet and tagging prime minister Narendra Modi, and his Cabinet colleagues Sushma Swaraj and Arun Jaitley and Mr Kotak, who is heading the debt-ridden group, to perhaps draw some attention to their misfortune. In a series of tweets, he has also posted a screenshot of an email that pleads for help, stating that the “local administrations (will) put us behind the bars or may local staff will kill us because of the company’s fault.” His message reiterates that the employees are only to blame for being loyal to the company and sticking out with this project to the end. From his mail, it seems that these stranded employees have met with the Ethiopian Road Authority who have suggested that they should first pay any outstanding salaries of the local labours only after which would they be able to take any action. The Indian Embassy has apparently written to the management of the company and will take any action after receiving a response. It is sad to see that these employees are being caught in this mess in such a way that neither the Ethiopian Road Authority nor the Indian Embassy is able to provide any help. This dire turn of events has led Mr Raghuvanshi to send out such a cry for help. 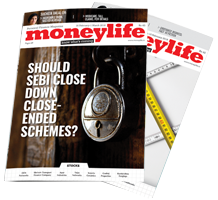 Update: Moneylife has learnt that ITNL (Infrastructure Transportation Network Ltd), the publicly listed IL&FS subsidiary, is already aware of the problem and is in discussions with the Ethiopian side. We have further learnt that the Ethiopian project has been given some guarantees by Indian institutions and the board, and the Ethiopian Road Authority is in talks to invoke those guarantees and release Indian employees. The spanking world-class Rapid Metro, which became operational in Gurgaon (now Gurugram) in 2013, has certainly added lustre to the modern township built by DLF. But the project is based entirely on fraudulent and fabricated ridership claims, to get government sanctions, right of way for land use and other benefits. The metro project was conceived by DLF, the realty giant, and mid-wifed by the scandal-hit Infrastructure Leasing & Financial Services (IL&FS). They are also the two biggest beneficiaries. India’s public sector banks (PSBs), as always, are stuck with the bad loans of this gold-plated project. Here is how it unfolded. DLF originally proposed a 3.2km metro project between Sikanderpur and National Highway-8 (NH8) to the Haryana government in September 2007. It hired IL&FS to prepare the Detailed Project Report (DPR) as a consultant. This was submitted by DLF to the Harayana government's town and country planning department. Metros, even elevated ones, are expensive showpiece projects and ought to be considered by smaller cities only when other modes of public transport are inadequate to meet growing transportation demand. But when you have a powerful corporate, captive government and pliant bureaucrats, all good sense is thrown to the wind. The media has extensively documented DLF’s clout with the Central and state governments. It was at the peak of its power in 2007-08. Gurgaon had been transformed into ‘Millennium City’ and DLF had got itself re-listed on the stock exchanges and was being touted as one of the most valuable companies in India. Its shares were trading at a high of Rs1,200 in January 2008 (as against Rs177 on 22 November 2018); but things took a dramatic downturn soon after. The Haryana Urban Development Authority (HUDA) invited expressions of interest to construct the metro line on build-operate-transfer (BOT) basis with a 99-year lease in 2008 based on DLF’s persuasion. A fresh tender was called in July 2008 because DLF wanted the metro to connect it to its Cyber City as well. By then, the world was already hit by the global financial crisis. DLF’s stock was down to Rs400 and the company itself pulled out of the project. But, instead of being alert to the global financial crisis and its implications for realty and infrastructure development, the Haryana government ploughed on with the project. Someone connected with the early plans says, DLF originally pitched the metro as a Rs325-crore project, but the cost soared to over Rs1,000 crore after it was tendered and IL&FS Transportation Network Ltd (ITNL) became the sole owner. The very rationale and viability were based on completely fraudulent claims about potential riders. The truth turned out to be vastly different. 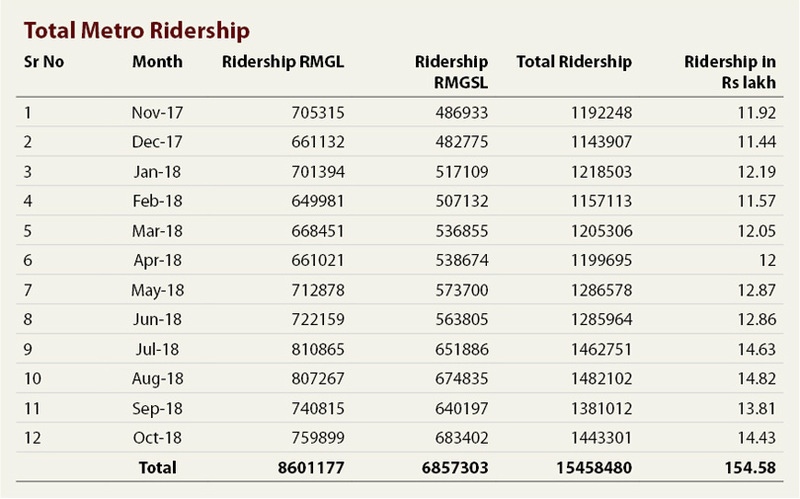 The actual riders, in phase-1, were barely 30,000 per day. Five years later, after completion of the phase-2, the riders are less than 50,000 a day. (See table for the latest numbers). But every decision with regard to the rapid metro was based on the big fraud of inflated riders. The Haryana government granted right of way as well as land for the project and the metro stations, based on the traffic projections, for only a revenue share in non-fare revenues (such as advertisement income) and connectivity charges, based on these projections. Banks were also persuaded to fund the project based on these false claims. This raises several questions that beg a full-fledged investigation. First, who was the biggest beneficiary of the project? Clearly DFL. It got a free ride on the project, as is clear from the rapid metro’s website. The metro “provides a transport solution for areas in and around Cyber City, DLF phase-2, DLF phase-3, NH8 & Golf Course Road up to Sector 55-56 Gurugram and provides connectivity to Delhi Metro from Sikanderpur Station,” it says. A Haryana government source says that DLF’s ongoing projects saw a minimum cost appreciation of 15% due to the metro, in very difficult times for the realty industry, globally. IL&FS was the next big winner. While the project itself was based on spurious projections and doomed to fail, ITNL, the promoter, and the group as a whole, earned plenty in fees, since the Haryana government allowed a generous increase in project cost to the Rapid Metro Rail Gurgaon Ltd (RMGL), a special purpose vehicle (SPV) which built the project. The civil construction contract went to IL&FS Engineering and Construction Company Limited, also at a fat fee. A forensic audit would reveal how much IL&FS, as a group, has earned from the project in various types of fees, costs and expenses. The poor riders’ data of phase-1 was a wake-up call. Instead, the second phase of the project was built and cleared. And the combined project has yet to achieve half the riders projected for phase-1.The southward extension for phase-2 was a 6.6km long double-track extending from Sikanderpur to Sector 55 and 56 in Gurgaon and was estimated to cost Rs2,423 crore then. In February last year, the Comptroller and Auditor General (CAG) rapped HUDA for failing to enforce the terms of concession contract, resulting in undue benefit to the concessionaire of the Rapid Metro in Gurgaon at the cost of public. The report said: “HUDA had entered into a concession contract assuming 80 per cent of liabilities of concessionaire in the event of termination of the contract and default of the concessionaire as to the costing of the project and extent of potential liabilities.” But CAG also did not go into the fact that the entire project was based on false projections. In February 2016, IL&FS, the failed group holding company, partially bailed out ITNL which promoted RMGL by acquiring a 49% stake at Rs509.9 crore (Rs17 a share for a hugely loss-making project). This was, obviously, to airbrush the performance of ITNL which was a listed company and attracted close scrutiny by stock market analysts and funds. Interestingly, just around the time that the IL&FS board was sacked by the government in August 2018, the Rapid Metro had issued a notice to the Haryana government alleging “breach of the concession contract” and making a claim of Rs1,484 crore. One of its allegations is that the Haryana government had “promised that other modes of transport like shared autos would not be permitted on the metro route once it became operational.” Whether such an outrageous promise, to block the most easily accessible public transport, had actually been made is also worth investigation. It would indicate the extent to which the bureaucracy was compromised. Unfortunately, bankers and bureaucrats appear to have ganged up to protect their own. There is no attempt to go into the dubious deals of the IL&FS’s management cabal. The Reserve Bank of India (RBI), which is fighting the government to preserve its independence, also failed badly where IL&FS is concerned. Umesh Baveja, founder of RAHI Aviation, who was put behind bars by IL&FS on what looks like trumped up charges, had sent detailed account about the scandalous Rapid Metro in his 2 October 2015 letter to Dr Raghuram Rajan, then governor, RBI. RBI raised a red flag about IL&FS being over-leveraged. But it was kept a secret. Had it made its conclusions public, bankers, rating agencies, pension funds and mutual funds would have been alerted at least two years earlier. Will Raghuram Rajan who is sitting in US and tweeting about our Govt policies, reply why he did not act when the issue was brought to its attention? With banks like SBI on board as members , wonder how such people in senior positions tweaked bank rules to allow a fraudulent firm IL&FS get a tender in the first place? Excellent and well-researched article, as usual. When red flag was raised by Umesh Baveja, founder of RAHI Aviation why didn't Raghuram Rajan Act? Great and well researched article. It exposes lapses in all our esteemed and well respected institutions and government authorities. RBI still refuses to disclose names of willful defaulters thus making room for more such skeletons to hide in the cupboard. RBI has no locus standing to yield to government claims on it. Several lenders of Infrastructure Leasing and Financial Services (IL&FS) have opposed the 90-day moratorium over loans taken by the debt-laden group and its subsidiaries. Lenders also requested the National Company Law Appellate Tribunal (NCLAT) to allow them not to classify IL&FS accounts as non-performing assets (NPAs) in case of defaults. However, there was no decision and the NCLAT fixed 17th December as next date of hearing. Last month, the NCLAT had stayed all proceedings against IL&FS group and its 348 group companies till further orders, over an urgent petition moved by the government. 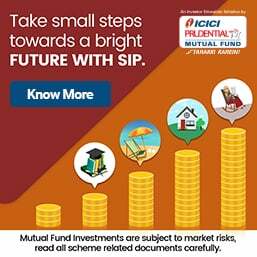 During the hearing on Tuesday before the Appellate Tribunal, the government submitted a revival plan for IL&FS, which is likely to take shape over the next six to nine months and also sought continuation of the moratorium for a three-month period. Earlier, the ministry of corporate affairs had approached the appellate tribunal after the Mumbai bench of National Company Law Tribunal (NCLT) turned down its plea to grant 90-day moratorium over the loans taken by IL&FS and its subsidiaries. On 1 October 2018, the NCLT suspended the board of IL&FS on the government's plea and authorised reconstitution of the board by appointing seven directors two days later.